Fast food chain Red Robin will launch the plant-based Impossible Burger in its 570 outlets across the US on April 1. The patty is well-known for containing a plant-based version of 'heme' - a protein found inside red blood - made from genetically-modified yeast. Red Robin serves the patty in a build called the 'Impossible Cheeseburger' features the high-tech patty, pickle relish, red onion, pickles, lettuce, tomatoes, mayonnaise, and choice of cheese. According to reports, it is suitable for those on a plant-based diet if it is ordered on a lettuce wrap without mayo or cheese. "Our fans expect variety, creativity and culinary innovation at Red Robin, so it was important for us to offer a plant-based option that appeals to traditional burger lovers, flexitarians and everyone craving a delicious burger," Jonathan Muhtar, Executive Vice President and Chief Concept Officer at Red Robin, said. "The Impossible Cheeseburger is a high-quality offering our guests will love and marks a huge milestone for Red Robin." 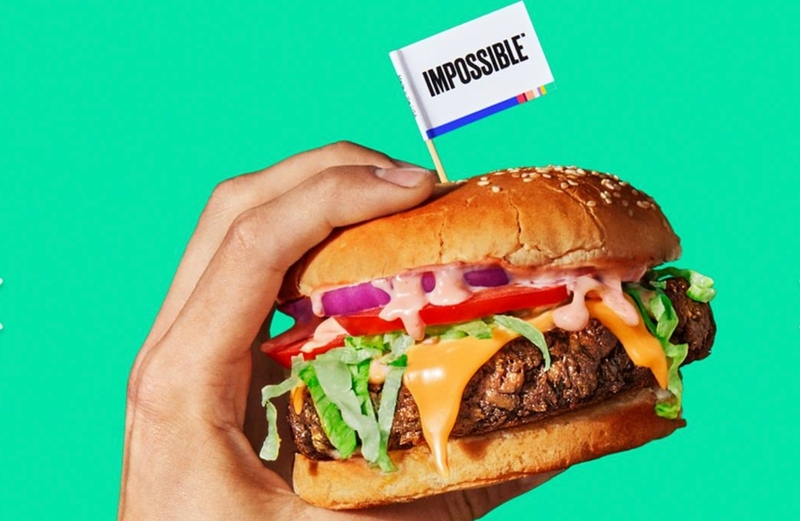 "Red Robin takes meat seriously - and it's a major endorsement that the Impossible Cheeseburger is now part of Red Robin’s justifiably famous menus," Lisa Will, Impossible Foods' Vice President of Sales, added. Red Robin kicked off 2018 by launching an easy-to-veganize burger in its 560 restaurants nationwide. The Gourmet Veggie Burger is vegan when served in a lettuce bun, topped with tomato, avocado, and bruschetta salsa. Dana Benfield, Senior Vice President of the chain, said it launched the burgers to help their consumers stay 'on track' with New Year's resolutions - whether they are to 'eat healthily, try new things, or stick to a budget'. "The New Year often calls for changes and resolutions and at Red Robin, we're no different," she added.